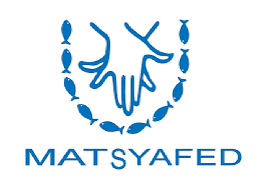 The Fish marketing federation Matsyafed has launched one of a kind Matsyafed fishetarian mobile mart in Trivandrum. Matsyafed fishetarian mobile mart will offer fresh fish from Vizhinjam which procure fish on the same day from the fishermen. The cleaned fish will be transported to city in insulated, AC van. As per initial plan, the mobile mart will conduct sale at secretariat/YMCA areas from 4.30pm to 5pm. From 5-6pm, the mobile mart will ply in the Sastamangalam/ Vellayambalam/Manaveeyam road. It will conduct sale in Pattom/Public Office areas around 6.30-7pm. Fish will be delivered to the customer within 4 hours from the base station at Vizhinjam. Contact Phone numbers of Mobile Mart 9526041090, 9526041281.